Being LGBT and having autism is actually fairly common and yet often misinterpreted. This groundbreaking first-hand account uses personal experiences from birth to late diagnosis to explore this connection, and the nuances of both gender identity and ASD. 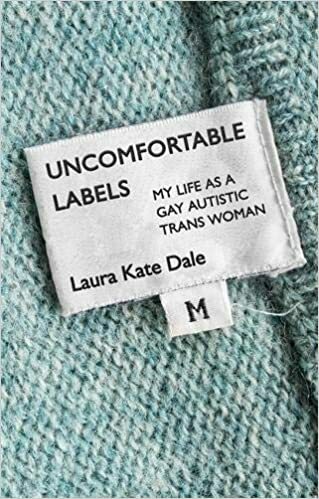 Looking at everyday struggles faced by the author, such as learning feminine presentation through observation of subtle cues due to her autism, issues around sensory processing and LGBT spaces, socially difficult situations exacerbated by gender identity, and even coming out as trans during an autistic meltdown, this gives a unique insight into the links between autism, sexuality and gender. Split into three sections, it begins with life prior to transition and diagnosis, moving on to the years of self-discovery and finally shows the upsides and downsides of being autistic and on the LGBT spectrum. I’d like to start with the agknowlegment that because this book is a memoir, it is automatically #OwnVoices. The book overall is good. I like how Laura makes connections between being autistic and being trans. Her audience is most likely less informed(?). IDK how to word it so that it’s not ableist, but basically, she wrote it with informing and teaching people both about autism and about what it means to be trans. Also, I totally understand that language and labels are a personal choice, and I know I shouldn’t be, but Laura’s use of person first language (“person with autism” vs “autistic person”) sort of annoyed me. Side note for people in school reading this: always use identity first language unless an actual disabled person (or a #ActuallyAutistic person) tells you otherwise. She also uses “ASD” and “autism spectrum disorder” which also feels weird because autism isn’t really a disorder, it’s a neurodivergence. Also, towards the beginning, she discusses “male” and “female” presenting autism, which LITERALLY DOES NOT EXIST. Laura tackles a variety of issues while also teaching the reader. Many of the issues are listed in the Trigger Warning section as they are common triggers, but the gist of those can be assumed. She also talks about common stereotypes and representation issues. I’m really glad that she actually talks about how some people will NEVER pass. She talks about the lack of accessibility in queer spaces (which hurts both disabled people and teens). Laura’s discussion on stimming is really important. It made me feel seen. Her mention of happy flapping made me so happy because it’s so discouraged by society. It’s interesting to learn about the medical system in the UK. I know about the US system, and a bit about Canada and Australia, but I had no idea how the NHS (National Health System) works in the UK. Although slow and intense in the beginning, the ending made up for it. I LOVED the section on roller derby because its something I sort of want to try. I could basically hear how much Laura loves it and I’m so happy for her. Despite the rocky start, the book worked it’s way up to a 4 star rating. I really need to start reading more trans memoirs. Comment below if you have recommendations.